Ledbetter made 19 appearances for FC Tucson in 2014, logging one goal. TUCSON (February,1 2019) -- FC Tucson announced today the return of defender Austin Ledbetter for FC Tucson’s first professional season in USL League One. Per club policy, the details of the contract will not be released. Ledbetter first starred for the club back in 2014, logging 1,710 minutes of play over 19 appearances. He most recently spent time with USL Championship side Saint Louis FC. In 2018, Ledbetter won 21-of-29 duels (72%) while aiding in 12 clean sheets. 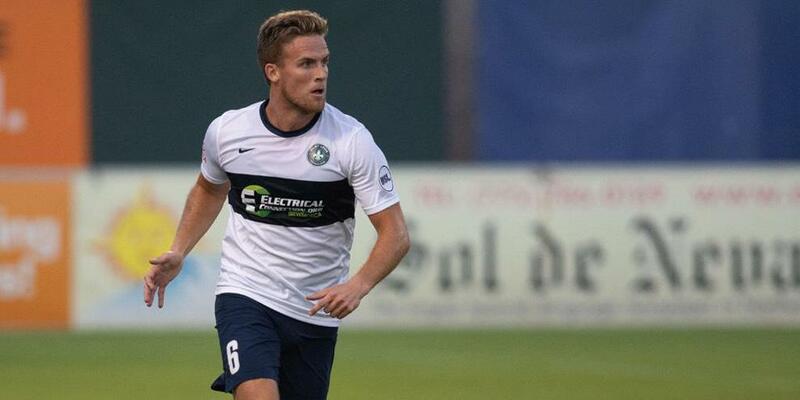 In total Ledbetter made 23 appearances for Saint Louis FC over two seasons. A graduate of Southern Illinois University Edwardsville, Ledbetter served as a two-year captain for the Cougars. During his senior campaign, he was named the Missouri Valley Conference Player of the Year and Defensive Player of the Year. Ledbetter was selected 53rd overall in the 2017 MLS SuperDraft by FC Dallas. With the addition of Ledbetter, the FC Tucson roster now stands at eight players for the 2019 USL League One season. FC Tucson, established in 2010, is participating in its first-ever professional season in USL League 1. In 2012, FC Tucson was named the USL League 2 Rookie Franchise of the Year. To stay up to date on the club, check out the team’s website at www.fctucson.com. You can also visit the team’s Facebook page at www.facebook.com/FCTUCSON and follow all of the news related to FC Tucson on Twitter at www.twitter.com/FCTucson. USL League One is shaping the future of the game in the United States, uniting passionate fans in new markets with the thrill of a proven professional soccer experience. League One submitted its sanctioning application to the U.S. Soccer Federation on Aug. 14. South Georgia Tormenta FC, FC Tucson, Greenville Triumph SC, Forward Madison FC, Chattanooga Red Wolves SC, Toronto FC II, Orlando City B, Lansing Ignite FC, North Texas SC and the Richmond Kickers have been revealed as teams set to compete in the inaugural 2019 season.